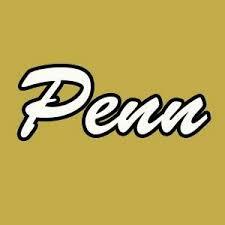 Camryn Szynski threw a 45-yard TD strike to Braden Black with 1:35 left for the game-winner, as the Penn Kingsmen defeated Merrillville, 34-28, in Freshmen Football on Monday, Aug. 29. Szynski threw two touchdown passes to Black, for 45 yards and 39 yards. Szynski also scored two touchdowns rushing – 30 yards and 1 yard. Lucas Small scored on a 53-yard run. Garrett Western contributed a pair of two-point conversion runs. Noah McCown and Riley Horvath recovered fumbles, and Noah Gefri and Riley Podojil intercepted passes. Penn is 1-1. The next game for the Kingsmen Freshmen team is on Thursday, Sept. 8 at Mishawaka.